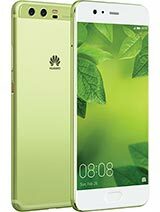 Hi, im planning to buy this phone from other country, is there some easy way how to put it in english? do you havtu re-flash it with english ROM or something. ayon, 04 Dec 2010it is a great phone. i bought it yesterday. so good looking.Hello i congrats for to purchase the handset[wave8530]I read your opinion in gsmarena & like to ask you about the handset.did you using the net with this hand set? What is the performance about speed during browsing. Love you, you are great and thanks for your indepth reviews. Please don,t give any unwanted advantage to any phone.From your review of Wave 11. it is very clear that qualitatively Wave S-8500 is far better. One thing is very confusing and thats battery life of wave 2. Standby time 800 hrs, 2g talk time only 6 hrs. against 8 hrs. in 3g. Is it possible? I doubt ? Where is your dedicated battery life test for Wave 2. Please add as it is very important aspect of any phone. hope you will listen soon. my doubt is that it should be worse. Karthik, 12 Dec 2010hey i wanna buy Wave S8500 in singapore..do u know cost of this wave S8500 mobile ? ?we can get... morewhich are is better?? s8530 wave 2 or htc wilfire?? lin, 12 Dec 2010guys, what is the different btwn samsung 8500 wave and 8530 wave II? obviously the size but n... morethe only real difference between the 2 apart from size is the wave1 has super amoled and the wave2 has sc-lcd.the wave2 comes with the latest bada os which will soon be available for the wave1 so no real problem there.as for the os it all depends on what you do with your phone.android has more apps than bada as bada is still a young os but i find it to be faster,smoother and more stable than android although android 2.2 and 2.3 are still to be fully put to the test.at the moment i prefer bada as i can find all the apps i need for my type of usage.i have the wave1 but am still interested in this phone and would sacrifice the quality for a bigger screen.lets face it,super amoled is better than sc-lcd but its not really that bad either. Anonymous, 11 Dec 2010I've dying to know when this phone is available in singapore. hope to get it for a christmas g... morehey i wanna buy Wave S8500 in singapore..do u know cost of this wave S8500 mobile ? ?we can get mobile cheaper during christmas time n which shop to buy? ?plz replz ..am confused n tell Wave or htc wildfire ..which 1 s better among those ?? guys, what is the different btwn samsung 8500 wave and 8530 wave II? obviously the size but not sure for other part. which one better, os android or bada? Anonymous, 09 Dec 2010please brother can you review Samsung wave 2 / and please tell me about YouTube application / I've dying to know when this phone is available in singapore. hope to get it for a christmas gift for my loved one.Zero interest in any/other phones.asap reply. i wanna ask dat i wanna buy a new phone should i buy SAMSUNG S8530 WAVE 2 or should i prefer HTC HD MINI ..??? If i talk abt samsung and if all talk about others.then samsung is a leader in touch and smart phones.bye bye nokia bye to all others in asia. 440$ in switzerland, not yet available. maybe before christmas. the real price is $$640!! !